Your body tells you what it needs to be healthy, listen to it! The past month we suggested one simple change you should make in your lifestyle that will have significant effect on your health and wellbeing. It was to wake up early and exercise. This month we have another suggestion for you to slightly tweak your lifestyle in order to feel even better, be fitter and healthier. It’ all about your diet and eating habit. 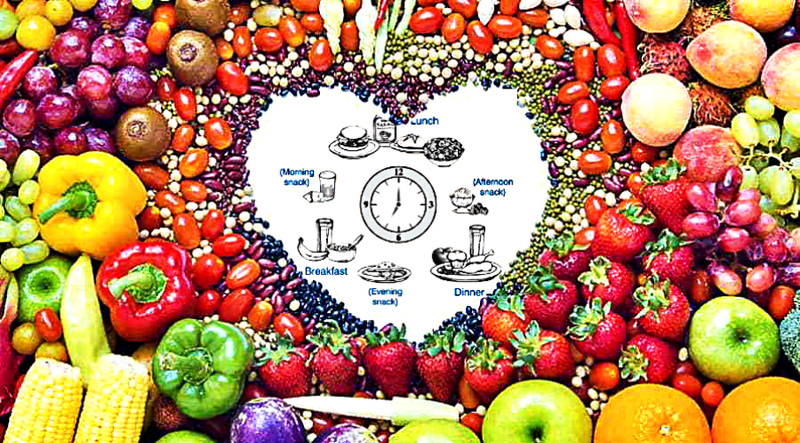 Healthy diet is not mainly determined by how many calories you intake, but how many nutrients are in those calories. And there is a wise rule you should follow! Eat breakfast like a king, lunch like a prince, and dinner like a beggar! Following this old rule is the one thing you can do that will have the biggest effect on your health when it comes to your eating habits. The deeper wisdom in this simple sentence is so powerful that it makes you think whether or not people from the past were health freaks. Scientifically speaking, you need a big breakfast filled with complex carbs and proteins to give you energy throughout the day. In fact, the one meal of the day when you can cheat and it won’t affect you that much is breakfast. The whole day is in front of you and no matter how you consume the energy, your body will find a way to use it, of course, if your day is active. And if you want to skip a meal in your day, breakfast should be the last meal you think of skipping! Lunch is a period for a medium meal that will give you nutrients and additional energy to squeeze the other half of your day. Dinner is something you should do before 8PM and with a lot of reserve. This meal should be small, nutrient rich and not too hard for your organism to digest. It should be almost like a snack, a delicious and nutrient rich salad or a hand full of nuts should be sufficient. Just follow this saying for one week and see the results in your energy, weight and mood. It’s really not that complicated to start having a healthy diet as it might seem. Most of what you hear is propaganda that tries to sell you labels. If you do not know what to do this month and you want to start living healthier, just follow this easy rule and you will see the benefits.